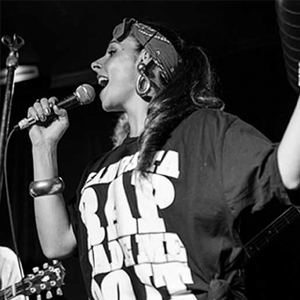 Taking a walk on the wild side, experience a funkier edgier underground sound at this late night Jazz Hip Hop Freestyle Jam taking it into the early hours with a special line-up of women MCs and singers for SIWJF. Performances by: Dawn Laird, Natalie Slade, Ines, Alice Terry, Iresh with a killer band and look out for other, very special guests. The Jazz Hip Hop Freestyle Jam was created by Danny Felix and started almost exactly a year ago during the 2013 SIWJF. The leading event of its type in Australia, this jam has played host to special international guests including US saxophonist Greg Osby who has worked with numerous major Hip Hop artists. Osby said it was the best thing of its type he has heard. 2013 SIWJF featured artist, Eri Yamamoto and her band also couldn’t resist sticking round at the Foundry to listen after their own performance. What’s the secret? Good young jazz musicians with a love for, and deep understanding of Hip Hop. As well as exciting rappers, MCs and singers taking a “no barriers, we recognise only music” attitude. When these musicians, singer and word artists come together, the music is intense, the rapping inventive, often incantatory, and the atmosphere ecstatic.